The news broke last week that Soundelux (a leading Hollywood postproduction sound studio) had filed for Chapter 11 bankruptcy protection. This is a harsh blow to the entertainment industry as a whole. Soundelux is best known as the postproduction sound studio responsible for the audio in such movie hits as The Hunger Games, Skyfall, Django Unchained and Pacific Rim, but they’re also a huge force in the world of video game audio too (under their Soundelux Design Music Group/DMG subsidiary). With this in mind, I’m dedicating this blog post to the contribution Soundelux DMG made to the field of video game sound. Finally, here’s their highlight showreel from 2012, including brief clips from such great game projects as Gears of War Judgment, God of War Ascension, Skylanders Giants, Twisted Metal and Call of Duty Black Ops II: Zombies. If you’d like to read more about Soundelux DMG, you can read an excellent interview from 2007 with Soundelux DMG’s founder Scott Gershin. Here’s wishing good luck to all those impacted by this backruptcy, including the game audio wizards at Soundelux DMG. 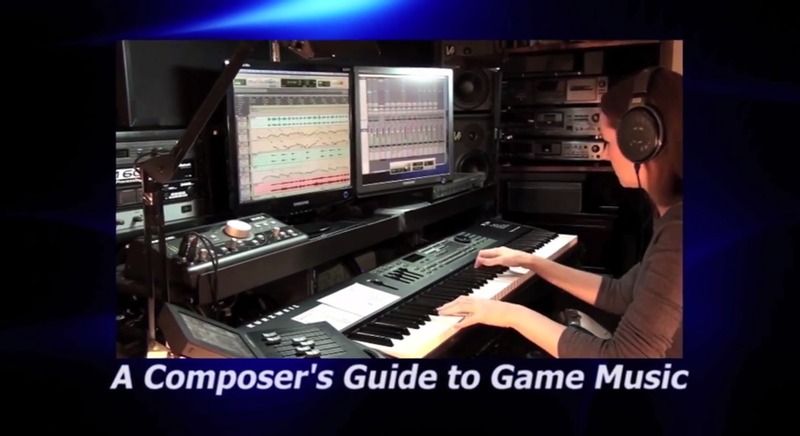 Here’s the last installment of my four-part series of videos that I made to supplement my book, A Composer’s Guide to Game Music. This video takes a look at some advanced techniques in the Horizontal Resequencing model, as employed in the Spore Hero video game. It gives a visual illustration for the interactive music composition technique employed for Spore Hero. The video also demonstrates topics that are defined and examined in in my book, beginning on page 188. I was honored to be invited to speak at Ludo 2014, the Ludomusicology Conference, last month. I had a great time talking with a wonderful audience of video game music scholars and game composers. Ludomusicology.org is a scholarly research group in the UK that applies the principles of musicology to videogame music. Researchers from Oxford, Cambridge and Bristol Universities participate in their ongoing research, as well as their annual international conferences on game music. This year’s conference took place at the University of Chichester from April 10th through the 12th. While I couldn’t attend in person, I was very pleased to be interviewed via Skype by event organizer and distinguished musicologist Dr. Tim Summers. The video below shows Dr. Summers and the audience at the University of Chichester in the UK, and myself in my music studio in the US. The discussion ranged from interactive music structure and implementation, to career skills and workflow, to creative strategies for game music composition. The talk also included several topics from my book, A Composer’s Guide to Game Music. I’m very grateful for the fantastic questions from the audience, and for the gracious kindness of Dr. Summers and the Ludo 2014 conference!